I love Halloween and it’s almost here! But as much as I love planning ahead for most things in my life, holidays seems to always sneak up on me. There always seem to be decorations to hang, gifts to wrap or food to make, even when I think I’m all ready. 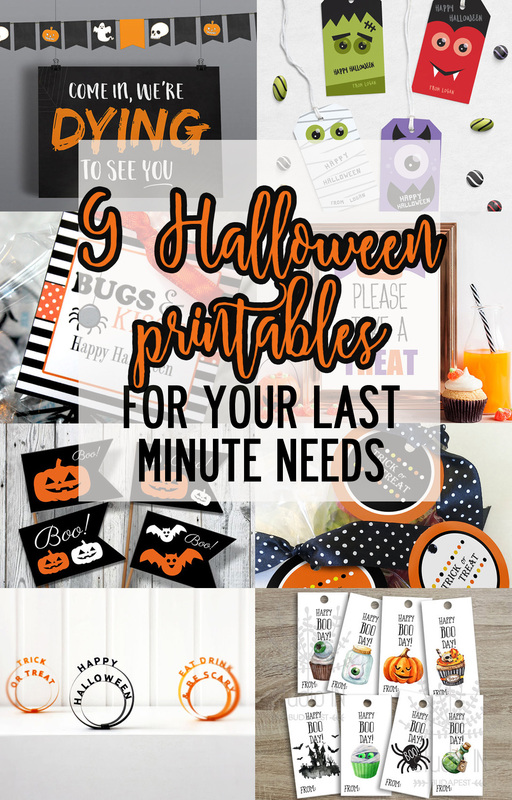 I think some people might have it the same way, so I collected 9 Halloween printables for your last minute needs! This post contains affiliate links. 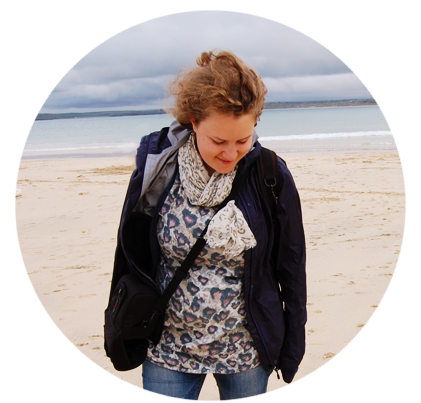 I may receive a small commission (at no cost to you) if you purchase something after clicking one of the links in this post. I only link things I stand a 100% behind. By using them, you are being super awesome and supporting me. Thank you! I think this is such a cool welcome sign! Have this one your door to give that scary look, but also give your guests a laugh. The bunting is a cool bonus. I love these minimalist Halloween decorations. Such a fun idea and the details of the text and the spirals are great. These will look great on doorsteps, on the partytable or windowsill! These fun party favour tags are great to give everyone’s bag a bit of personality. Fun drawings and easy instructions! I love wordplays! They make me happy and this one is no exception. Who doesn’t love “Bugs and Kisses“? These are fun tags for gift bags or classroom gifts. These fun gift tags can be customized to include your kids or guest names. I love the minimalist look with clear colors and shapes. The perfect Halloween party decorations! These printable would look great on a cake and make everything more scary. Nice, minimalistic Halloween print of a spider. I love the contrast and detail in this one. These round favor tags are a fun way to personalize your gift bags! This nice sign is perfect for putting up next to your bowl of candy. It’s nice and helps set you apart.